Christmas in the Bottoms--you’ll laugh like the Dickens. A very soulful and satirical version of the classic: A Christmas Carol. Narrated and commentated by a pair of jive talking "Dozens" Players named Madd and Dog2020 aka Maddog2020. It's a bit of fantasy and a bit macabre. Scrooge is the miser Ebenezer Jenkins who owns Glad Wrappings Funeral Home and BBQ joint. What's Cooking you may ask. *Quick confession: I have never read Charles Dicken's A Christmas Carol but I have seen several movie versions. So, this will not be a comparison of the two. 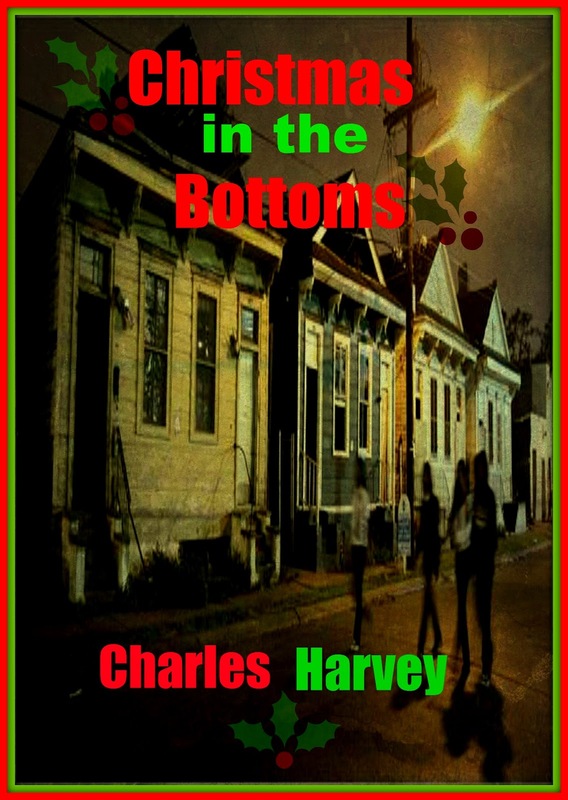 I came across Harvey's Chirstmas in the Bottoms by accident. I was at Smashword purchasing another book that was on sale and since it was only $0.99, I decided to make my whole transaction around $5 and so I needed to find more books. Since I had not read any Christmas themed books this year, Christmas in the Bottoms seemed like a good choice. And I was curious to see what a hood version of A Christmas Carol would look like. I found Harvey's retelling overall enjoyable. There were many moments when I had to hold back a laugh. Mostly, through the first part of the book and during Madd2020's interruptions. I think Harvey did a good job of creating a funny unique version of a holiday classic for the first section of the short story. Where the story failed and why it only got 3 stars was in the dream sequences. They were overall short and weak. Again, since I have never read A Christmas Carol, I can only use movie version as a comparison So, I am use to the three dreams taking up the majority of the story, being elaborate and overall setting the tone for the overall story. It seemed that Harvey just throw in the three dreams. There weren't three different ghost and I couldn't figure out how the dreams played a part in Jenkins overall redemption at the end. Madd and Dog2020 were hilarious. In fact, their back and forth was one of the best parts of the story. For me, they were the highlight. I could just envision them sitting on the steps, watching people pass by and drinking out of a brown paper bag. Old harmless drunks, wasting away the days. Ebenezer Jenkins, was a trip. He did the worst thing to save a dollar. Like combine his three business (Funeral Home, BBQ Restaurant and Pawn Shop) to save money. And rumor had it the meet for his BBQ was probably from his deceased clients. He was also mean and stingy to his only employee Bob Crutchet, a felony having trouble finding a better job. But while Jenkins was memorable for his action, his character overall was one dimensional. I think my overall favorite character was Ebenezer Jenkins gay nephew. He was flamboyant and a bit of a stereotype but for the brief scene that he was in. I loved him. 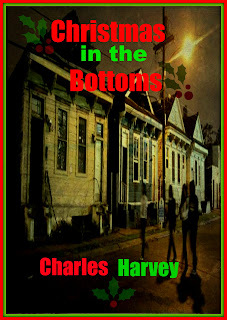 The true strength of Christmas in the Bottoms is displayed in Charles Harvey's writing. It is clear that he knows what he is doing and knows how to tell a story. I honesty wish that this had been longer and more flushed out. I struggled with trying to decided if this should be a 3 star or a 3.5, unfortunately the flaws in the story (mostly the bad dream sequences) outweighed the excellent writing and humor. Recommended for a light humorous Christmas read, and an interesting take on a Charles Dicken's classic. It really sound good. But just way to short to meet expectations.